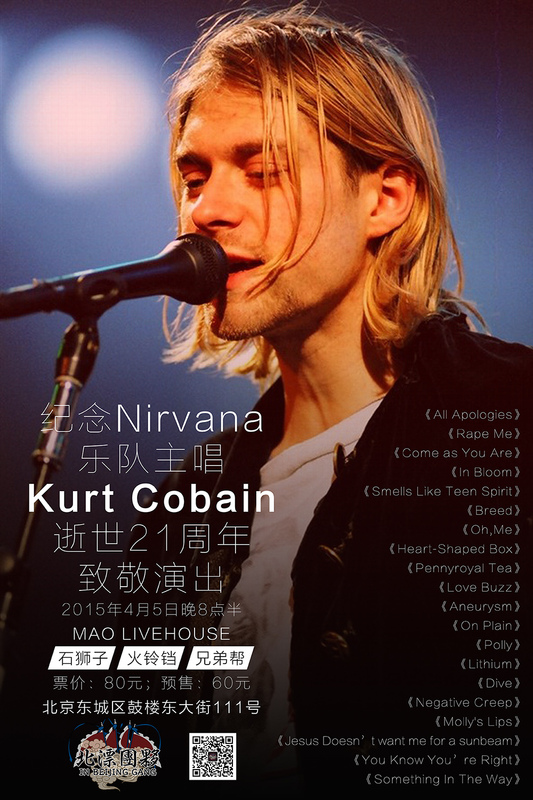 To commemorate the 21th anniversary of the death of Nirvana front man Kurt Cobain, In Beijing Gang have organized a night of Nirvana covers by some of Beijing’s top grunge bands. To begin a film of a 1991 Nirvana concert performance of Nervermind in Seattle will be shown before Shi Shi Zi, Xiong Di Bang, Huo Ling Dang play a selection of their favorite Nirvana songs. Address: 北京东城区鼓楼东大街111号, Beijing, Dongcheng District, Gu Lou Dong Da Jie 111.